Are you sick of your old coffee machine? Or do you just plainly want to stop running to the coffee shop just to get a tasteful cup of joe? 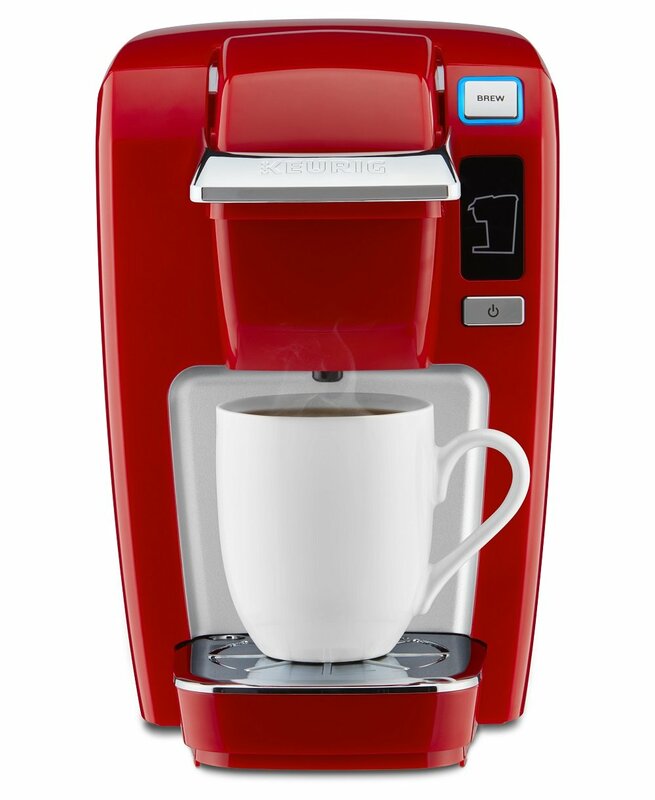 If you do, I urge you to take a look at the Keurig K575. 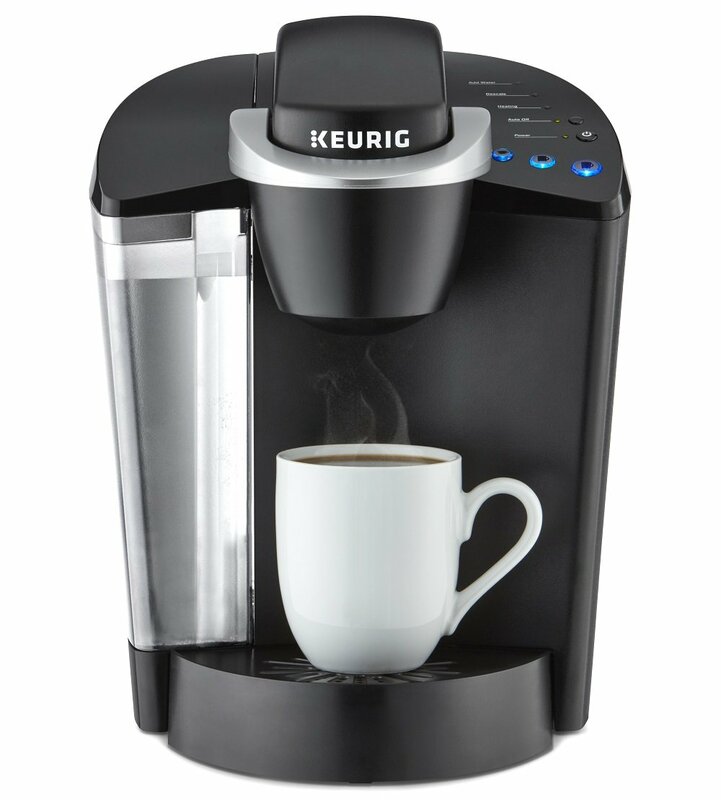 The 575 is another highly celebrated coffee machine from Keurig that can offer you the perfect cup of ﻿﻿coffee in mere seconds right at the comfort of your home or office. Take a gander at our Keurig 575 review below and find out why this coffee machine has become one of the most sought after coffee makers in the market today. 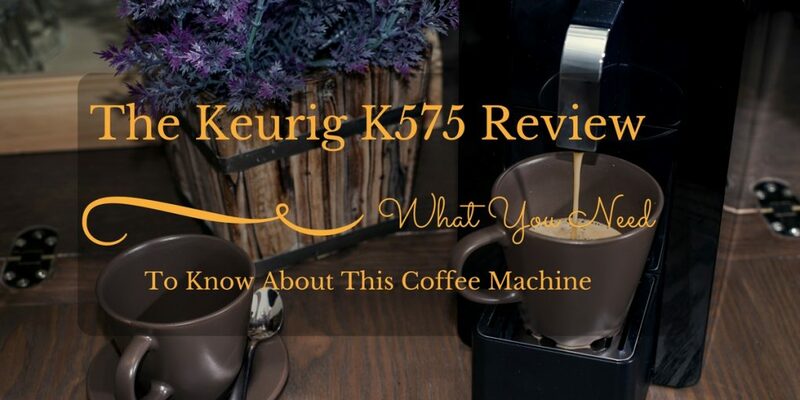 Before I tell you about the Keurig 575, let us first discuss the different factors you should consider before you get a coffee machine. Knowing what you should look for in a coffee maker can help you create a sound decision and will ensure that you get to enjoy using the product that you purchase for your home or office. This factor would of course depend on how much available space there is on your counter for a coffee maker. Keep in mind that coffee makers obviously come in different shapes and sizes, which is why it is always important to know your counter’s measurements. Coffee makers in the market today can offer you a range of features. Some coffee makers can be as basic as operating a light switch, they simply have a start button. While others can be more complex, especially if they come with programmable features. 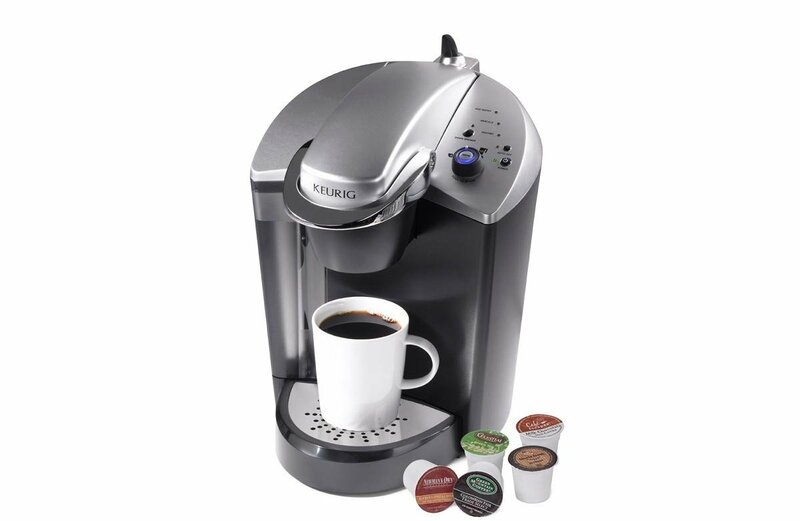 The Keurig K575 comes with the platinum features of Keurig’s 2.0 brewing technology. 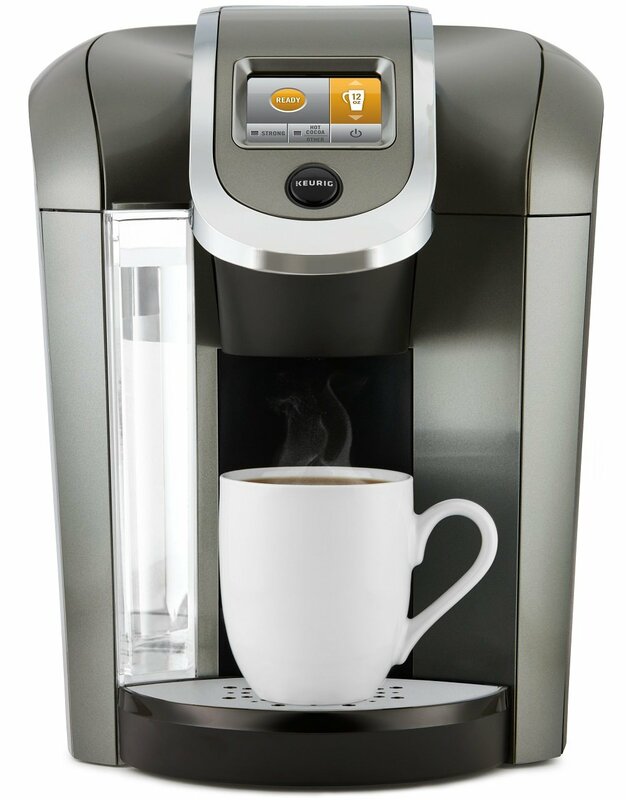 What’s great about this coffee maker is that it’s completely designed to accept the lid of K-cup mugs, K-cup, and K-carafe. Aside from being a completely versatile coffee maker, it also offers ease of use with its one button single-serve cup feature along with over 500 varieties of options to choose from to create a fine cup of coffee using over 75 coffee ground brands that you prefer. 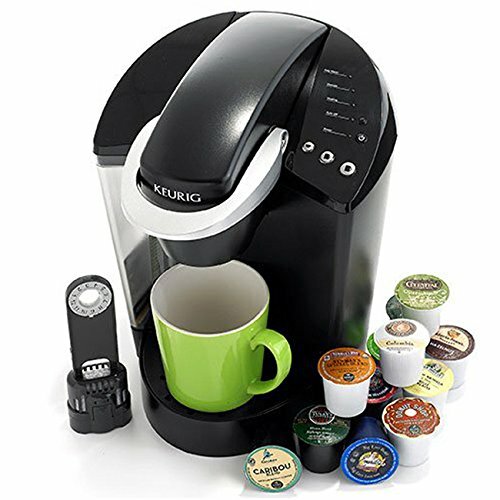 If you decide to get the Keurig K575 for your kitchen or office, you will be able to enjoy a 6-count K-cup pod variety pack along with a water filter handle and a pair of water filters. Other interesting features of this machine includes its energy conserving automatic off function that will turn off the machine once it’s in idle. It even comes with a fine color touch screen display that will help you navigate the entire machine. 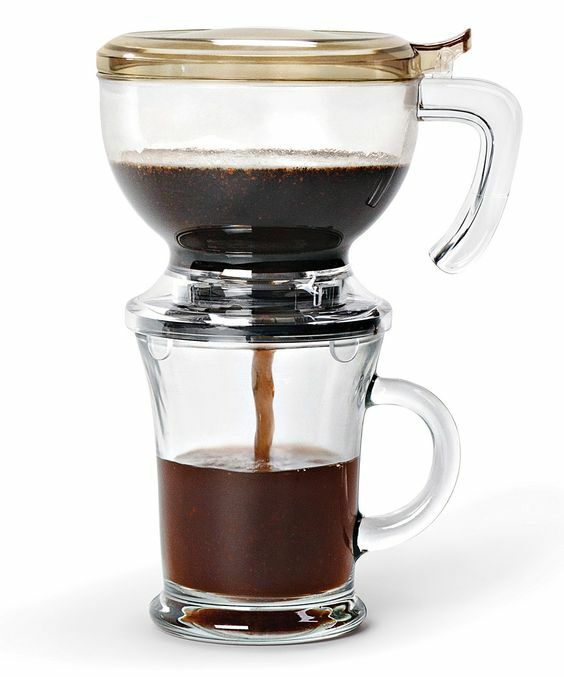 This coffee maker will let you brew coffee for families or large groups since it is completely compatible with a carafe. This coffee maker can help you create more than 5 cups of coffee with a single refill of its water reservoir, completely eliminating the hassle of constant refills just to serve your guests. The K575 can offer you a set of programmable features that you can easily set up via its touch screen LCD. 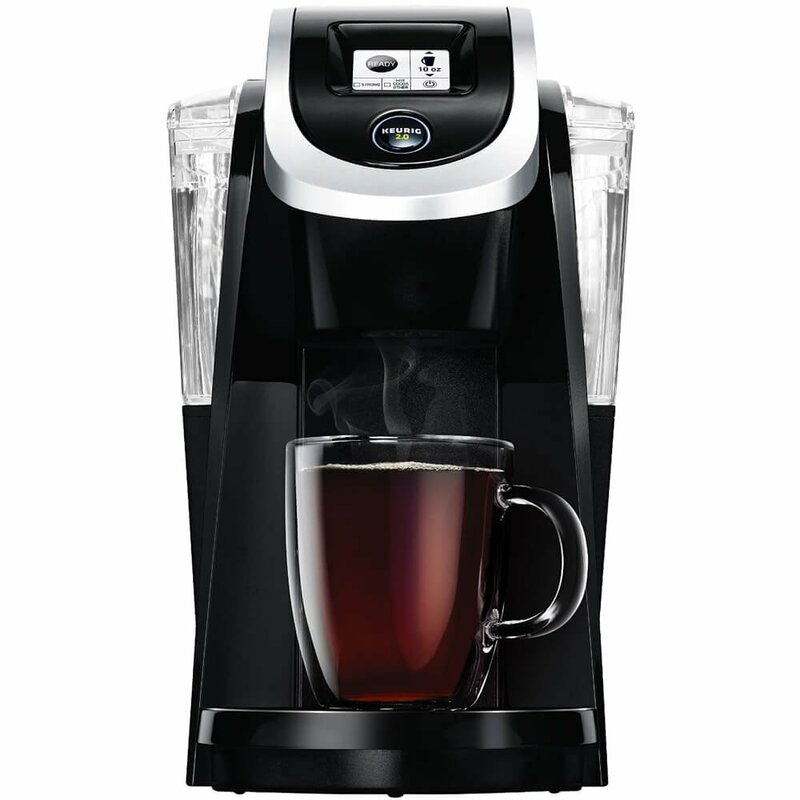 The K575 can be used to create tea, coffee, hot chocolate, cocoa, and even iced tea. Aside from coming with an automatic off function, this coffee maker can also be programmed to shut off at a specified time. The Keurig K575 has become a top selling product on Amazon for it’s great performance when it comes to coffee brewing at home. In fact, the K575 has become so popular, it has garnered a remarkable 4 out of 5 star rating from most of its customer reviews. I have found that the K575 has become so because of its modern design. The LCD touch screen is certainly a feature that users enjoyed because it made the entire machine simple and easy to use. Another feature that was celebrated by a number of users is the machine’s compatibility with a Carafe. There’s also the fact that it is completely compatible with K-cups and K-mugs. Users also loved how this coffee maker comes with programmable features that can help them create different brews from medium to dark. Users also didn’t forget to commend this product on it’s large capacity water reservoir that makes brewing for a number of people pretty much hassle-free. The K575 is a remarkable coffee maker that you can surely rely on for a great cup of coffee every single morning. It comes with programmable features that you can use to create an assortment of blends along with a touch screen LCD screen that will help you navigate it with ease even if it’s your first time using it. 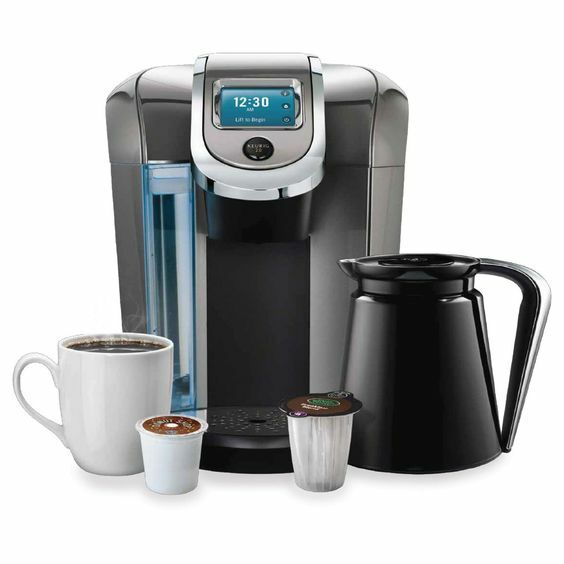 With the Keurig K575’s handy set of functions and features such as its carafe compatibility and large water reservoir, you will surely appreciate the power and efficiency packed in this machine. 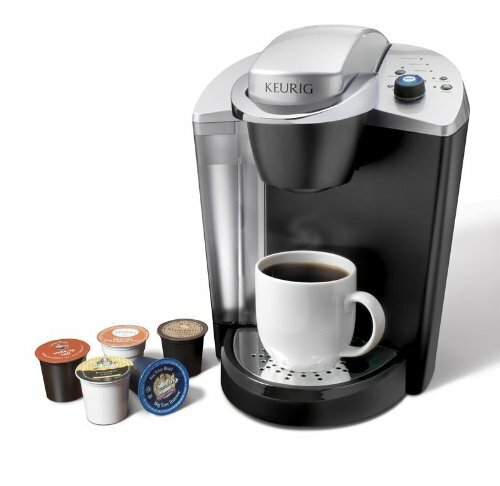 This Keurig coffee machine offers both versatility and style. Needless to say, it is truly a coffee maker that you can rely on to get the perfect coffee cup from every single day. What’s great about this coffee machine is that it is very easy to set up. 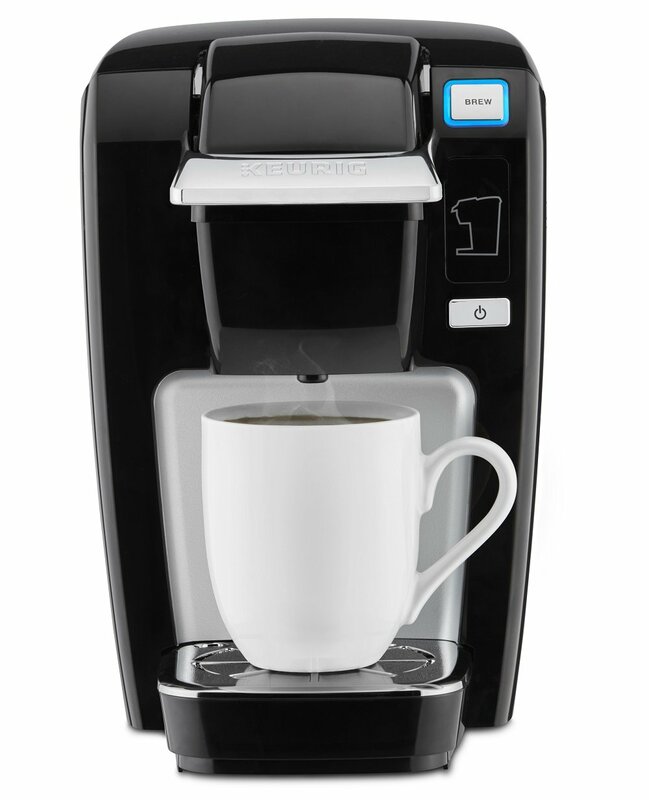 Out of the box, you can start using this coffee machine in mere seconds. After you have set it all up, and once you have filled the reservoir all the way through, you will be able to start making your own personalized coffee. Whether you are planning on making a cup of coffee for yourself or a couple of friends, this coffee maker is one that you can surely rely on. 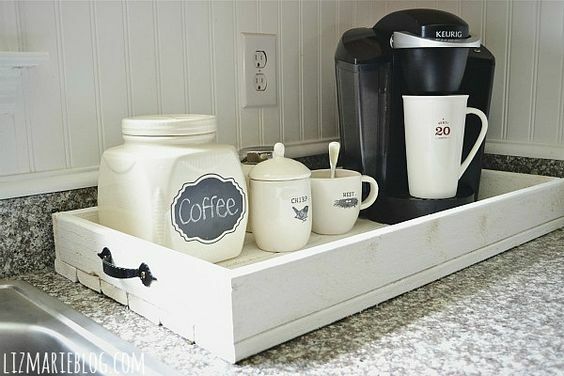 What’s great about this coffee maker is that it requires little counter space. This always-ready-to-use coffee machine comes with the fastest brewing time of merely one minute, making it completely ideal for workplace use. It comes with a 48-oz removable reservoir, that is appropriate for workplace use. Talking of the convenience of use, it’s usable altogether aspects. due to the Drain Brewer button enclosed, you'll be able to drain the entire system for movable-ness functions.